lvpslvps 1 year, 7 months ago. Android Oreo 8.0 ROM, LineageOS 15 for HTC One M8 has now arrived via an UNOFFICIAL build. If you want the OFFICIAL LineageOS update or some more Android Oreo ROMs then stay tuned to the LineageOS 15 Android Oreo ROMs page or the AOSP Android Oreo devices list page. 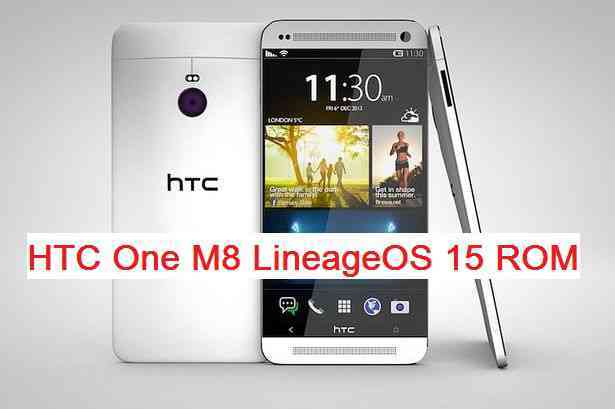 This Lineage OS 15 for One M8 (m8) is brought to you by developer bgcngm. THIS IS AN INITIAL BUILD WHICH HAS MANY BUGS. HAVE A BACKUP BEFORE FLASHING THIS ROM AND TRY AT YOUR OWN RISK. Installing a custom ROM on a One M8 (m8) requires the bootloader to be unlocked on the One M8 (m8) phone, which may VOID your warranty and may delete all your data. Before proceeding further you may consider backup all data on the phone. You are the only person doing changes to your phone and I cannot be held responsible for the mistakes done by you. – Here is theTWRP update guide for the One M8. This TWRP recovery guide requires an unlocked bootloader on the One M8. Download and Copy the Oreo GApps and One M8 Lineage OS 15 ROM ZIP to your phone. First flash the One M8 Lineage OS 15 ROM ZIP from device. Then flash the GApps zip from your device memory. Reboot and Enjoy the Oreo 8.0 Lineage OS 15 ROM for One M8. Copy the latest HTC One M8 Lineage 15 ROM ZIP file to your phone. Stay tuned or Subscribe to the HTC One M8 (m8) forum For other Android Oreo, Nougat ROMs, LineageOS 15 ROMs, other ROMs and all other device specific topics. I tried this ROM and system didn’t even boot. I kept seeing the boot animation. Looks like TayX has realized that and removed the build. Hope he gets us a newer working build soon. A new build has been added from BGCNGM. You can try that one. Looks great. Mobile data and camera don’t work. Confirming about mobile data. Does NOT work. I double checked that all basic settings are good (the phone is not in “airplane mode”, celular data enabled). Also found AT&T support article for setting the APN values and followed it. Rebooted. Wiped cache/Dalvik cache. The mobile data does not work, the signal strength icon shows no signal. However, the voice and text services are working great! I’m cut out of mobile internet. Flashlight icon is grayed out and does not engage the flashlight (expected by release warning). Bluetooth WORKS!!! (unexpected, the release warning says it should not). Yay! Everything else is great so far. My 3 years old battery lost 25% of the charge during the day. I used to plug the phone to charge twice a day! I am using OpenGapps 8.0 unofficial release (the link to official release site shows 7.1 version as highest). Hopefully this mobile data issue is not coming from using opengapps unofficial. Any suggestions how to fix mobile data or what to expect on that matter? Anything I can do to help the project? I speak russian and ukrainian, but I’m not a programmer.